Welcome to the Historic Church of the Epiphany! God has a purpose for you at Epiphany; now is the time to begin the process of discovering your niche, with plenty of freedom to explore. Match your strengths and talents to these ministry opportunities listed below. The Order of the Daughters of the King® (DOK) is a spiritual sisterhood of women dedicated to a life of Prayer, Service and Evangelism. We have made a commitment to Jesus as our Savior, and we follow Him as Lord of our lives. We are an Order for women who are communicants of the Episcopal Church, churches in communion with it, or churches in the Historic Episcopate. Today our membership includes women in the Anglican, Episcopal, Lutheran (ELCA) and Roman Catholic churches. On June 7, 1998, Epiphany received its charter and eleven members were installed having completed their training classes. Since the order’s formation at Epiphany, four training/study sessions have added 23 members, bringing the number of Epiphany DOK to 34 members. Daughters make a pledge of prayer and service. Epiphany daughters participate in water Missions International and they are active at Hebron Grace. The Epiphany chapter of DOK meets on the first Sunday of each month at 8:00 am to 9:15 am before the service in the Ministry Center Library. Mrs. Deborah Vergere is the current president of the Epiphany DOK. Contact Deborah for information, or you can find out more about the DOK by clicking HERE. The Brotherhood of St. Andrew is an international ministry of men within the Anglican Communion with corporate offices in Ambridge, Pennsylvania, U.S.A. The Brotherhood was incorporated by an Act of the U. S. Congress signed May 30, 1908 by President Theodore Roosevelt. That Act states, "the sole object of said corporation shall be the spread of Christ's Kingdom among men through prayer, study, and service. The Epiphany chapter was chartered on March 1, 2009. There were 9 men inducted on that date. Today there are 13 paid members of the Epiphany chapter. The chapter has established a service project to provide donated hygiene products to a local men's prison. They have assisted at the Hebron home for addicted women by sharing their stories and providing Bibles. The chapter also supports the Eutawville New Hope Center. The chapter meets at 7:00 pm on the first and third Thursday of each month except the months of June and July. George Carpenter currently serves as Director of the Epiphany BStA. You can also click HERE for more information about the Brotherhood. The Epiphany Church Women (ECW) meet on the first Monday of each month at 9:30 a.m. in the Ministry Center from September through May. During June, July and August, if special issues arise the executive board is polled. Our meetings bring us together for fellowship, worship, and study which strengthen our lives and those we serve in the parish, community and Diocese. Epiphany has been very active through the years in the Diocesan and District meetings. The president is the official representative to meetings but many additional members attend. 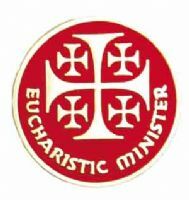 Our ECW hosted the Diocesan Annual meeting in 1985, 2001 and 2008. In 2009 Eliza Couturier was nominated by Epiphany ECW, and then she was chosen as the South Carolina Episcopal Church Women’s Most Honored Woman of the year for 2009. ECW’s primary projects during the year include Meals on Wheels, Hebron Grace, the United Thank offering, Church Periodical Club, York Place, Healing Farms Ministries, Water Missions, contributions to natural disasters and special occasions, such as luncheons and receptions in the Ministry Center. And remember our ECW Store located in the Ministry Center. This is how ECW raises the money to support the numerous missions we support. Check out the many bargains we offer by clicking HERE. ll women of the parish are considered members even though some are unable to attend meetings. Some of these women who cannot attend monthly meetings contribute in many other ways. Connie Barnes is the current president of the Epiphany ECW. Cursillo is a movement (one method of renewal) of the church which trains and supports its members to live out their apostolic mission. Christians are introduced to Cursillo through a three day weekend. They are supported by small groups and these small groups also meet together in larger groups. This leadership may be exercised in work situations, in the family and social life, in leisure activities, and within the Church. The full name for Cursillo (ker-see-yo) is Cursillo de Cristiandad. "Cursillo" means "short course". The full name of the movement translates into English as "a short course in Christian Living". A three-day Cursillo weekend helps you experience your faith and encourages a spiritual life that is filled with joy and enthusiasm. You are invited to seek an enriched relationship with God through Jesus Christ within the framework of a Christian Community. For information contact Rita Lupton or for general information about the Cursillo Movement. click HERE. Kairos Prison Ministry is an organization addressing the spiritual needs of incarcerated men, women and children, and to their families and to those who work in the prison environment. Kairos sprang from the Cursillo movement and is supported by Christian volunteers including those from Cursillo and those other movements that consider Cursillo as their root. Kairos welcomes all countries and all religions. Our Kairos Inside program currently operates in 350 prisons in 31 states in the U. S. and 8 additional countries. More than 170,000 incarcerated men and women have been introduced to Kairos, since its inception. The current number of volunteers exceeds 20,000 per year. For information contact Fred Lupton. You can also click HERE for more information about the program. The Fishers of Men is an interdenominational and interracial fellowship of men who are active in Christian Churches in our general community and meet together monthly at different churches to pray for themselves, their families, their communities, and their churches. They pledge themselves to work together to sponsor programs and projects that will bless their communities and lift up, honor, and glorify the name of the Lord Jesus Christ. Our meeting, on the 2nd Monday of each month at 7 p.m. consists of a devotional by the host church, a delicious meal, and our business meeting. We conclude by circling up for prayer. Among other things, the Fishers of men have built handicap ramps for people in need who cannot afford to have them built on their own. They also support a local women's home and food pantry. For information you can contact John Vergere. In 1985 churches in the Holly Hill - Eutawville Area initiated an outreach program to bring meals to shut-ins recommended by the Health Dept. of SC. Rosemary Singletary (St. Anne's Catholic Church) has been coordinating the program for 37 yrs. and many changes have taken place. Currently, in addition to Epiphany there are 10 other local churches. Each church is responsible for preparing and delivering AMPLE and NUTRITIOUS meals and are delivered Tuesday and Thursday every week. 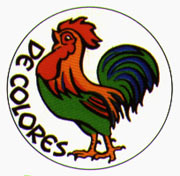 Individuals are recommended by Dept. of Social Services, Home Health Services, Family Physicians or Nurse Practitioners. Currently 11 individuals are being served: At times in the past 15-20 have been served. Are YOU being called to participate in this Outreach Program? Currently the Epiphany Team has 7 active members: WHAT CAN YOU DO? Purchase and /or prepare food, pack delivery boxes and bags, deliver meals, kitchen clean-up, etc. every 4 weeks. Occasionally, as needed, delivery to one of our church members, a meal or food as needed. And always our recipients and team members need prayers! Talk with JoAnn Riley, Epiphany Church Coordinator, (Phone 854-4744) for everyone is welcome to participate in this ministry! Even children who can draw pictures or send a card to brighten a shut-in's day. Piracy, shipwreck, abandonment and separation from loved ones are just a few of the problems merchant seafarers face. Around the world, The Mission to Seafarers provides help and support to the 1.3 million men and women who face danger every day to keep our global economy afloat. We work in over 260 ports caring for seafarers of all ranks, nationalities and beliefs. Through our global network of chaplains, staff and volunteers we offer practical, emotional and spiritual support to seafarers through ship visits, drop-in centers and a range of welfare and emergency support services. In over 100 ports our Flying Angel centers provide a ‘home away from home’ for seafarers who may have been at sea for up to two years. Here they can enjoy time away from their ship and use internet and phone facilities to get in touch with loved ones after months away. In an emergency, the MtS is often the only help on offer. No matter what problem a seafarer is facing, be it injury, abandonment, non-payment of wages or personal difficulties, they know they can turn to the local Mission for help, advice and support. Our chaplains and volunteers offer practical and financial support, advocacy services, family liaison or simply a space to talk in a time of crisis. The Mission to Seafarers was founded in 1856 and is entirely funded by voluntary donations. See Jackie Lucas or Father Len Williams for information. Donations can be put in the collection plate. This Fall the Diocesan Church Women of South Carolina are introducing a new way to express our thankfulness and practice generosity - the Praise and Glory Jar! Our Mission:"to live with hearts of thankfulness and to practice generosity for the praise and glory of God." You're invited to join this mission by making a Praise and Glory Jar and putting it where it will remind you of the many blessings in your life - on the window sill by the kitchen sink, by your computer at the office at the office, by the washing machine - anywhere! Every time you see the jar give thanks for your blessings and drop a few coins in. Lay Eucharistic Ministers, commonly referred to as LEM’s, consist of volunteers from the church membership who are rained to administer the consecrated elements of the Eucharist and to assist the celebrant during the worship service. Currently LEM’s are trained regarding specific duties which include carrying the cross, leading the psalm and assisting during communion. We have 5 Lay Eucharistic Ministers who have been trained to administer home communion for the shut-ins and to those who are hospitalized. They are: Arlene Mandel, Ken Gosnell and JoAnn Riley. Lay Readers are volunteers who read the 1st and 2nd lessons and the Prayers of the People. A schedule is set up on a rotating basis and published on this website.